This article about duty relief schemes comes from an interview we ran with Jeff Lewis, trainer at the Institute of Export & International Trade and Managing Director of Resultz Ltd. We also discussed the definition of an export and Incoterms. How can companies use duty relief schemes to save money when exporting? Duty relief schemes ultimately benefit the customer rather than the exporter. The benefit to the exporter will be that they won’t have to offer so much discount to the buyer overseas. Generally from an export point of view, the shipment going out is a lot larger in volume and value due to the fact that shipping costs are quite high. A duty relief scheme will benefit an exporter in terms of their margin because the customer won’t have to pay import duty on this, therefore the landing cost of this big shipment will be cheaper for the company. It benefits the importer in terms of saving money, but from an export point of view it may help maintain margins so that they don’t have to give extra discount on the order to cover the cost of duties. How does a company find out about the duties that apply to their export? It comes down to tariff codes. To find out which tariff codes apply, there are a couple of online resources you can use. There’s the Market Access Database, which is probably the most current resource, but you can also go to customs directly, and a lot of countries around the world will have their customs online. 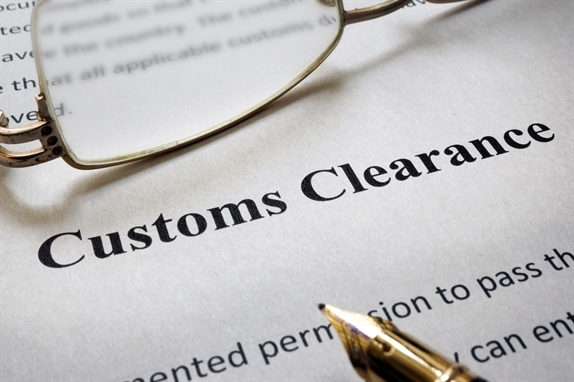 Going to different countries’ customs websites is a bit more complicated to do though, because a lot of them may be in different languages and some of them are harder to find specific import duties on. You can’t go to the Department for International Trade or the Institute of Export & International Trade and ask what’s the import duty for a banana. It’s something you have to look up using the aforementioned resources. There is help available from the UK Tariff. The other thing to bear in mind is that duties, tariff quotas and so on are constantly changing. If an exporter wants to be proactive, they have to be continually looking at what can benefit them and what can’t. With the Market Access Database, that is something that is an EU project. Will we get access to that once we’ve left the EU? After Brexit rumour has it that we’ll be shut off from that unless it is factored into the trade deal in some way. And after Brexit we won’t have the same tariff quotas as what we have now as part of the EU. So what will companies need to know about things like the World Trade Organisation and Free Trade Agreements? WTO rules and regulations are all about setting a fair and level playing ground for companies to trade fairly. This is done through the Most Favoured Nation rule. From our point of view it just means we’ll be paying a standard import duty. We won’t be considered an outcast, and we won’t pay the general tariffs that some countries impose. We would get the Most Favoured Nation rates that are standard rates anyway. The issues is that we currently trade preferentially with quite a lot of countries around the world and that will go when we leave the EU. A really important thing to note is the number of general system preference countries we trade with right now, and these are countries we get supplies from too. Where we’ve got preferential trade agreements at this moment in time, unless we can continue trading with the EU on some new agreed trading basis, these will go and then we’ll be using WTO rules that are just the standard duties and rates. If a company’s trading preferentially at the moment, they’re going to potentially lose that after Brexit. How does the Most Favoured Nation rule work? It’s under the WTO agreement whereby countries cannot discriminate between trading partners. Under MFN if you’ve not got a preferential trade agreement, you treat all countries equally. We don’t have a preferential trade agreement with the USA right now, but we trade on an MFN basis with them. If the US suddenly decided that Australia would be more favourable to them, under the WTO rules they cannot change the trading basis with Australia unless there is a formal trade agreement in place. So they have to treat us equally. So trading with countries under MFN rather than Preferential Trade rules, basically incurs extra costs? Where we currently have preferential trade agreements – with South Korea, Egypt, South Africa and so on – when Brexit happens those agreements will go and we’ll be operating under MFN basis. We currently trade MFN with the likes of China and India anyway. Where we don’t have a Preferential Trade with countries through the EU at the moment, we trade under MFN.